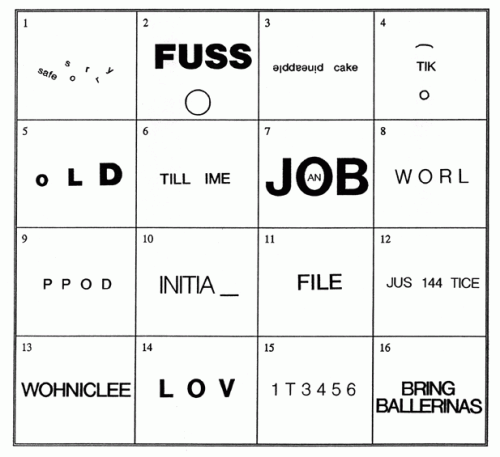 Decipher the hidden meaning of each set of words. 1. Better safe than sorry. 2. Big fuss over nothing. 3. Pineapple upside down cake. 4. Arctic circle. 5. Growing old. 6. Till the end of time. 7. An inside job. 8. World without end. 9. Two peas in a pod. 10. The first noel. 11. Change of life. 12. Gross injustice. 13. Once in a while. 14. Endless love. 15. Tea for two. 16. Bring on the dancing girls.